Thank you to all of the businesses that sponsored our students today for Job Shadowing Day. Congratulations to all students who have worked hard the 3rd Nine Weeks! Ms. Gordon's ELA classes are creating PowerPoints to promote the independent reading books they've read this year. 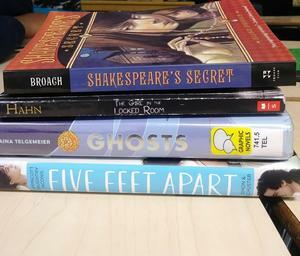 They are also creating Spinebook Poetry with their books for National Poetry month. Mrs. Gordon and Mrs. Chapman presented a literacy strategy to the LMS faculty today. Their strategy, Atwoodian Table, promotes critical thinking and analysis of the text. Teachers had the opportunity to interact with the strategy and discuss ways to incorporate it into their lessons. 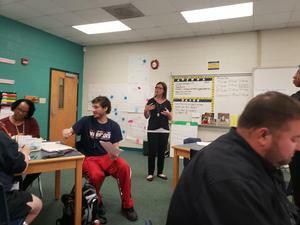 Mrs. Chapman and Mrs. Gordon attended literacy training with the SC Dept. of Education earlier in the year. Their presentation was based on one of the strategies they learned. 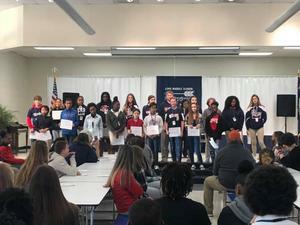 Students in 8th grade participated in a tour at Cheraw High School on Tuesday, March 26, 2019. 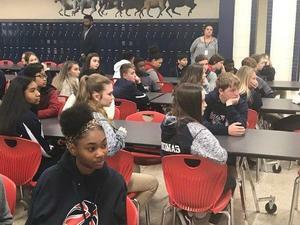 Assistant Principal, Ova Brown-Gillespie gave an overview of the Profile of the South Carolina Graduate and a few members of the Freshman class spoke and toured the eight grade students around the school. On April 2, 2019, the eighth graders will attend an orientation session along with their parents at 6:30 p.m. Registration information will be discussed. Attention to all 8th Grade Parents: Please view the flier below from Cheraw High School. Your child will be visiting Cheraw High School for a tour on March 26th. Parents will be invited for a Parent Meeting on April 2nd! Please don't miss this important meeting so you can get your questions answered and make some key decisions about your child's schedule for next year! Congratulations to the 7th and 8th grade band members on their performance today at the SCBDA Concert Festival. 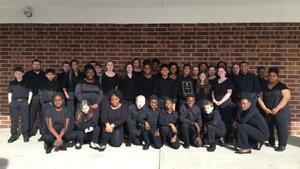 They received a Superior rating, the highest honor at this festival. George Coker Furr competed in the Business Professionals of America State Competition at Winthrop University in the Middle School Level Prepared Speech and a written Financial Literacy exam. After placing first in both events, he will represent South Carolina in both events at the BPA National Leadership Conference Competition in May in Anaheim, California. Congratulations George Coker! Your hard work and dedication is paying off! We are proud of you! 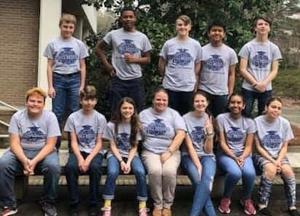 Congratulations to the LMS Academic Challenge Team who placed 3rd today at the regional match at Francis Marion University. Also, congratulations to Ella and Julianna for being recognized as the All-Stars for LMS.